San Francisco chain which operated from 1937 to 1965. 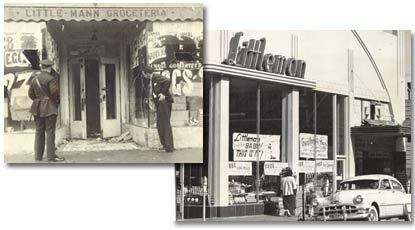 Began operations as Little-Mann Groceteria at 22nd and Geary. The chain was acquired by Cala Foods (now a division of Kroger Co.) in 1965, upon retirement of Littleman founder Leon Miller. Many of the former Littleman stores were still operating as Cala units when Kroger sold off most of that chain in 2006.